Master Jow Lung’s (周龙) original name was Jow Ming Lam (周名林) and was born in 1891 on March the 11th in Kwantung Province (广东省)， Gong Mun City (Jiangmen City) (江门市L Sunwui Tonghaa, Saa Fu Village (新会棠下沙富村) to a family who had been farmers for generations. Jow Lung was brought up by his father Jow Fong Zin(周方展) and mother (maiden family name Li or 黎). As a youth Jow Lung developed an avid interest in martial arts and studied Hung Ga Kuen (洪家拳) from his uncle Jow Hung (周雄) as well as other forms of martial arts such as Choy Ga Kuen from the renowned Master Jau Gong 邹耕 (also known as Choy Kua) from the same village. When he was nineteen，Jow Lung travelled to Southeast Asia (南洋) to make his living. It was here that he learned the Northern Style Siu Lam (Shaolin 北派少林) martial arts. Eventually he incorporated these with the Southern Style Nam Pai Choy Ga(南派蔡家) combining and creating the Hung Tao Choy Mei (洪头蔡尾) discription of Jow Ga Kuen (周家拳). Therefore, Jow Lung is considered the main founder of Jow Ga Kuen, which is also written differently in english based on dialect and sound (Jow Ga, Zhou Jia, Chau Ka, Chow Gar etc.). Jow Lung was once the Chief Martial Arts Instructor for the Canton (Kwangchow) Lei Fuk Lam Bou Deoi Armγ (广州李福林部队) with his brothers Jow Hip (周协, Jow Biu (周彪), Jow Hoy (周海) and Jow Tin (周田) as instructors too. In 1911 General Lei Fuk Lam was ordered to hire a martial arts master to coach the military. In order to find the most qualified Martials Artist General Lei Fuk Lam held a Martial Arts competition, the winner would be awarded the position. Jow Lung signed up for the competition in order to bring even more fame to his families Kung Fu. The competition was broken up into 10 groups and used elimination bouts to determine the winner. Using his new style Jow Lung fought and won each of the elimination matches and made it to the final round. Jow Lungs opponent was Guan Gin Sze, one of the best martial artist in the area. 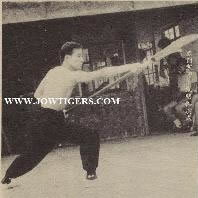 Jow Lung defeated Guan Gin Sze and became Military Martial Arts coach. In 1917 the Jow Yun Yi Tong (周仁義堂) was established in Canton (Kwangchow) before spreading to Sun Wui (新会), Jung San(中山) Gau-gong (九江), Kwang Sai (广西) etc. When Jow Lung enlisted his brothers to aid in teaching, the “Five Tigers” fame grew even more. Jow Lung was a very strong leader, his brothers and students would look to him to solve problems and dissolve disagreements. However, in 1919 tragedy struck the Jow Family, when Jow Lung contracted a severe cold. Because Jow Lung did not rest, his cold quickly developed into pneumonia and Jow Lung died at the very young age of 29. Jow Lungs students mourned his death as they would their own father, and the Martial Arts Community lost a great hero. Jow Bui, Jow Hip Jow Hoy and Jow Tin, also mourned their brothers death. On the day of his funeral, they all vowed to continue Jow Lungs dream of spreading their families Kung Fu so that it may live on forever. The brothers worked hard and opened schools all over Southern China. Branches were opened in Canton and Hunan. In 1927 a branch was set up in Chen Tsun. A branch was also opened Fo Shan and two more in Nan Hi Shi Giao and Guin Shan. In 1928 Jow Biu set up branches in Jian Meng, Tai Shan Hsin Chin and another in Jiang Men headed by his two top students Zhu Hua and Li Ngou. 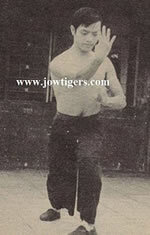 In 1929, Jow Tien went to Shi-Guan and set up branches in Du-Tsen, Yu-Tsen, Nan Fu and Guan-Shi. Because of Jow Tien’s efforts well over 20 schools were established under the Jow Family Banner. By 1930 over 80 schools were established in Shanghai alone. In a very short time Jow Ga was known all over Southern China, there growth was unprecedented. In 1941the Jow Family suffered a tragic loss with the passing of Jow Hip at the age of 48. Because of political unrest in China, Jow Biu along with Li Ngou, Grand Master Chan Man Cheung 陳萬祥 (師公) and other students immigrated to Hong Kong and today there are over 50 branches now operating in Hong Kong. In 1947 the Jow Family suffered yet another loss with the passing of Jow Hoy at the age of 48. Jow Ga Lion Dancing is also very well known. Before World War II, during the inauguration of King George II. Hong Kong held a huge parade in his honor. The Hong Kong government requested a group from the Jow Ga School, led by Jow Biu to perform at the ceremony. The Jow Ga Lion Dance team has performed for several large parades and events in Hong Kong. During Queen Elizabeth 25th Silver anniversary, the Jow Lung Branch sent a 300 person Lion Dance Team to perform at her parade. 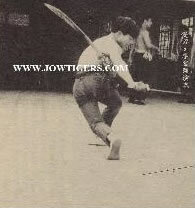 Jow Ga has enjoyed unparallel success in the Martial Arts field, however in 1961, on March 14th the Jow Family mourned the passing of the recognized leader of the Jow Ga Style Jow Biu at the age of 62, and in 1971 Jow Tien the last of the Five Tigers died at the age of 69. Because of the incredible dedication of the Jow Family, the Jow Ga System of Kung Fu is one of the most widely practiced and most traditional Kung Fu Styles in the world today. Its’ success can be attributed to the innovation, courage, discipline, and since of family of the Jow Ga Five Tigers and their disciples. Just for sharing: there is a branch of Jou Jia ( Cantonese:Jow Gar) in Malaysia and Singapore, founded by Mr Li Kun who studied Jou Jia with (great2)Grandmaster, Chan before enlisting into the Chinese 8th Route Army where he learnt Liu Jia and 4 other styles. After leaving the army near the end of WW2, he went to Penang, in Malaysia and started teaching his system of Jou Jia incorporating elements from the other 5 schools. He named his style as Zhong Wei Jou Jia, “the Jou Jia that’s outside China”, that’s what the words meant. Grandmaster Li Kun than moved to Singapore in the early 1960s and started Ch’an San Liu He, “Ch’an-mountain with 6-combinations” in Chinatown. The Five Tigers of Jow Ga Kuen.